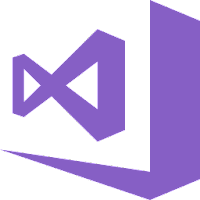 Visual Studio 2017 the popular IDE by Microsoft is a now available for macOS, enabling developers to build apps for mobile, web, and cloud with Xamarin and .NET Core, as well as games with Unity. Visual Studio for Mac has everything you would expect from a modern IDE, including a full-featured source editor, code search and navigation, a powerful debugger, a customizable workspace, Git integration, and a rich extension system. VS 2017 for Mac allows you to develop apps for Android, macOS, iOS, tvOS, watchOS, web, and cloud. With support for ASP.NET Core, you are empowered to create beautiful, modern web applications. Craft the front-end with the same web editor experience you know and love from Visual Studio and Windows and publish to the cloud directly from the IDE. Starting at $45 USD per month for Professional edition! Disclaimer: Direct downloads for the lastest version of Visual Studio 2017 for Mac 7.4.0.1033 are provided by the official software's author, we can't guarantee safety, availability or download speed. Moreover, we don't and we won't provide any pirated/illegal versions or tools. We recommend you to avoid it as these methods can harm your device. If you like the software, buy it to support the developers. (We provide software discounts for many worldwide brands).